Everyone living in a busy city like New York, Beijing, Lagos, etc understands the need to wake up early and hit the road before traffic builds up. For those who have mid-day appointments, they also need to set out to their destination at least an hour earlier than is required to accommodate possible delays and emergencies, and so, it is no secret that many of these people who live and work in or even visit such cities have and use alarm clocks on the regular. From the vintage types that decorate their tables and walls to the ones that come with mobile phones and gadgets, they literally run their lives based on the alarm’s dictates. Unfortunately, the brain tends to grow resistant routines and sometimes the chimes of the alarm are no longer effective. Fortunately, for those who are constantly in a struggle to keep up with their alarm, this article has the solution: Mimicker - Microsoft's recently launched Android. 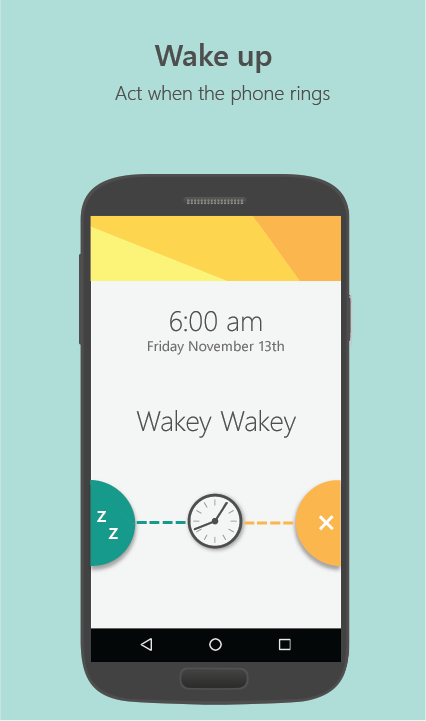 An Android alarm clock app from the Microsoft Garage, the app has proven very effective. If you are living in a very busy city and not yet heard of it, then you need to give it a try. Read on to discover 4 reason why you need to quickly get it on your device. The app ensures the user performs a task difficult enough to rouse them completely from slumber before it goes off. The task could include: mimicking certain facial expressions, taking a picture of an object that matches whatever color the app decides on for the day, or by repeating a tongue twister. The process is such that you start with dismiss or snooze, and if snooze, the default lasts for 5 minutes while delaying the game, however, if you dismiss, the alarm is muted, but then you are given 30 seconds to complete a challenge. And if you do not complete the challenge within the 30 seconds, the app assumes you have fallen asleep and the whole process starts again, the alarm starts to ring again. Basically, to shut off the alarm, you must complete the task set, and usually, the tasks takes away the urge to sleep. The good thing is, you can choose the sounds and games you prefer to play. This Mimicker app is not the same as all the other boring alarm apps or systems you are used to. It incorporates a lot of recent trends, like it has an “Express Yourself mode” which asks you to take a selfie that matches a mood. 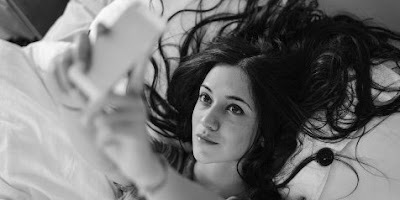 Everyone likes a selfie, so that’s a good incentive to people who enjoy the trend. Tech wise, it is also up-to-date as it uses Microsoft's Project Oxford machine learning technology to understand the emotions in your selfie, recognize the color green in your photos, and identify correctly that you've said a tongue twister properly. Although the Mimicker is an intelligent app that engages your brain, it is very easy to understand and use. If you find the games too tedious or irritating, you can actually just turn them off and use the app as a normal alarm clock, but then what would be the fun in that? The design of the app is also simple and not entirely boring. Also, you do not have to struggle with in-app purchases and all the add-ons that come with a lot of other apps. Most of the cool apps are usually released just for IPhone, but this app is available for just android users for now. This is great news for busy city dwellers as a majority of inhabitants of such cities own and use android phones and gadgets. So, android phone owners, but not iPhone or Windows Phone users, who have real struggle with waking up in the morning or punctuality in general, can now download the Mimicker Alarm through Google Play now. The Mimicker alarm is far from the regular alarm. Rather than just sound an irritating and reoccurring alarm until you shut it up, this app actually calls you out to play! From taking selfies with particular emotions to finding an object that matches a color, or repeating a completely tongue twisting phrase like "how much wood could a woodchuck chuck if a woodchuck could chuck wood?”, it certainly makes waking up fun. Some of the commands on the app such as: “Make a surprised face", are bound to put a smile on your face, which certainly puts you in a good mood and decreases stress.